Well the Shevenell Lab is back at it again, this time in the Scotia Sea! 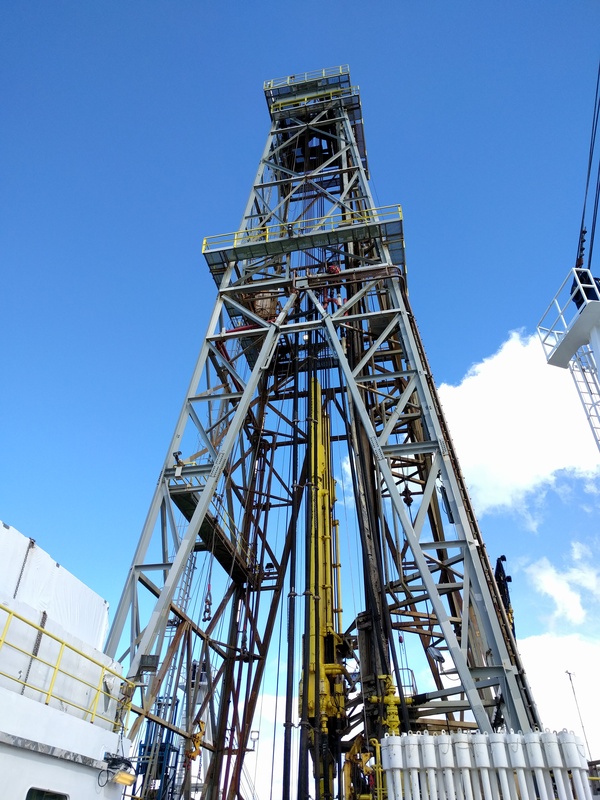 If you had the opportunity to read about Imogen’s time in the Ross Sea aboard the JOIDES Resolution (JR), then you might already know about the International Ocean Discovery Program (IODP) and the work that scientists and crew do on the JR. For those who are unfamiliar with IODP, I have included some background in this blog post. IODP is committed to reconstructing Earth’s history through the collection and investigation of sea floor sediments and rocks. Scientists and organizations from member countries participate in the shore- and ship-based science. Some countries and consortiums also provide the platforms on which scientists sail. This includes the JR, which is operated by the United States. To sail aboard these vessels and take advantage of deep sea drilling capabilities, scientists must submit proposals to drill. The proposal process can take years or even decades (literal decades!) and often includes multiple revisions. Proposed projects that pass review then move to the planning and staffing stage. Scientists from all over the world are staffed to sail with IODP. On this cruise, Expedition 382, we have scientists from, and representing institutions in, the U.S., the U.K., Germany, Korea, Japan, Norway, China, Australia, Brazil, the Netherlands, India, and Spain. This means that at any one time I often hear about four languages spoken at once in the conference room! 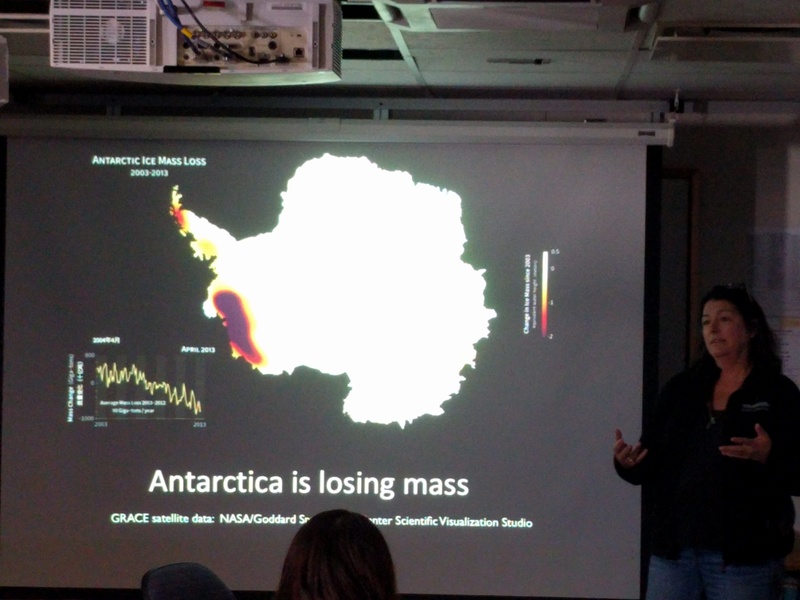 Our goal for Expedition 382, as an international team, is to uncover how Antarctica has changed over the past 14 million years, including how ice sheets responded to atmospheric CO2 changes, how ice sheets affected global sea level, and how the oceanography surrounding Antarctica evolved. To do this, the JR will be traveling to a site directly south of the Falklands/Malvinas, as well as to two sites in the Scotia Sea, which is located within the stretch of ocean between South America and the Antarctic Peninsula. The Scotia Sea sites were chosen because they are in the pathway of an iceberg armada. Dubbed Iceberg Alley, this stretch of ocean is the terminus of the counter clockwise-flowing Antarctic Coastal Current that transports icebergs around the continent. 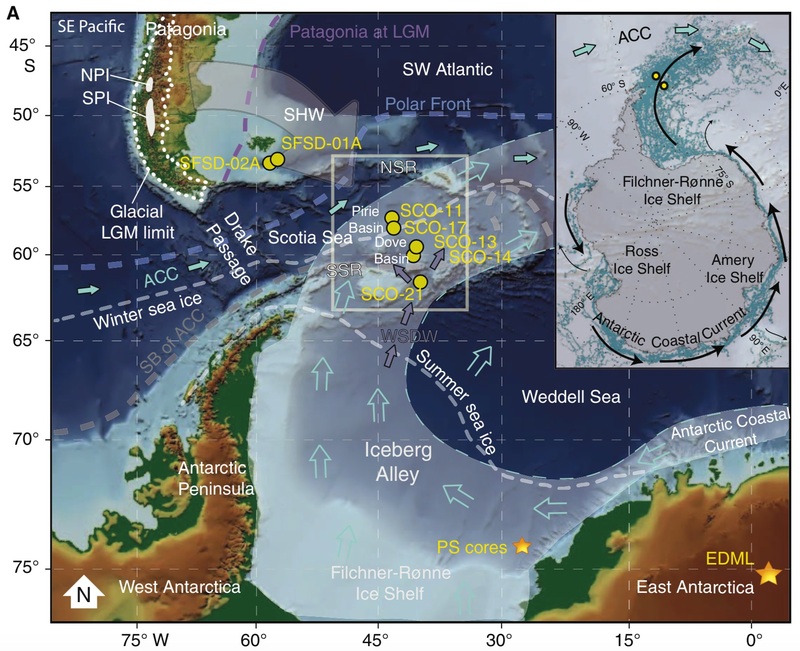 Once they leave the frigid waters of their icy birthplace and enter the relatively warm sub-Antarctic waters north of ~60°S, the icebergs melt and deposit debris that they have carried since they were glaciers sitting on the continent. The debris is a clue to how Antarctica evolved through time. This figure shows the sites we will drill during the two month expedition. Our co-chiefs, Michael (Mike) Weber and Maureen (Mo) Raymo, and lead-proponent, Victoria (Vicky) Peck, are anticipating hundreds of meters sediment that we can use to understand major changes in Antarctic history. Expedition 382 scientists are eager to collect the entire 14 million year sequence, but we are particularly interested in sediment that captures times of change in Antarctica. Many of our individual proposals focus on the glacial intensification throughout Antarctica at different times in its history, or times that represent higher-than-modern global temperature and CO2. Investigating these changes is very important for understanding the rapid retreat and thinning that we currently observe in Antarctic marine-terminating glacier systems. To better predict the response of modern glaciers to environmental stressors, we look to the past to understand ice-ocean-atmosphere dynamics. Our questions address various themes, such as ocean temperature, water mass distribution, and carbon cycling. So that’s an overview of who we are, what we’re doing, and how we plan to achieve our science objectives. We’ve had a bit of delay leaving port and now leaving the fueling station, but we should be on our way soon. Stay tuned for updates as we transit south.